I can't say enough good about this seat. It is SO easy to install, my daughter is comfortable in it, and I will be able to.keepnher RF for a long time! We purchased the Clek Foonf in Flamingo. 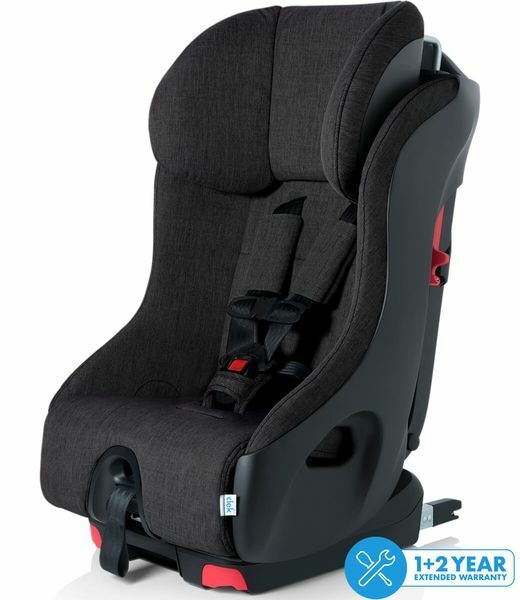 This is a beautiful car seat that is sturdy and durable. We purchased the Mammoth fabric for one car seat, and although the Flamingo fabric isn't as pure, it is still free of brominated and chlorinated flame retardants. Overall, we are very happy with our purchase, and happy that this car seat can accommodate infant to 65 pounds. Most Clek seats are made with Crypton Super Fabric, which are GREENGUARD Select Certified and provide permanent protection against stains, moisture and odour-causing bacteria; and are free of brominated and chlorinated flame retardants. The Noire models are made with a microsuede type Crypton Fabric, a synthetic fabric that is designed to resemble suede leather. It has a short pile (which is flatter than fleece) and a soft suede-like feel. The solid colour models, such as Shadow and Flamingo, are made with a microfibre type Crypton Fabric. This is a fabric with a tightly looped top, similar to a towel, and features a terrycloth-like texture. The grey editions, such as Thunder, Cloud, and Slate, are made with premium Crypton Fabric, which has a smoother texture, like a tailored suit fabric, and a more detailed heathered appearance. The wool model, Mammoth, is a charcoal grey fabric made of 100% Australian Merino wool. It is made from ethically sourced, 100% non-mulesed wool that is naturally hypoallergenic, breathable, odour resistant, and temperature regulating. Mammoth is the ONLY fabric cover option that contains no added flame retardants. Mammoth is available on Foonf, Fllo, Oobr, and Infant-thingy. We already have 2 for our twins in one car, and just got 2 more for the other car. As you can imagine quite expensive, but from our research appears to be the best available. The first time we had to assemble was a nightmare since the instructions were worthless, and not intuitive at all on how to do without them. But once you know the tricks the second set went quite smoothly. You definetly wouldn't want to have to move them from a car often however. We like this car seat because it's the only one we need from birth till booster. I now have both the foonf and the Fllo and I love them both. I have tried the diono seats for extended rear facing but my older daughter prefers the extra leg room the cleak seats provide. So glad to find the wool instead of plastic. It was intimidating at first to set it up and install because the instructions are complicated. But it's really easy once you get started. Our daughter absolutely loves it. She used to cry in the old infant seat we had. She doesn't cry anymore. I can tell she's comfy. Only complaint is that it sits very high in our car. So there's not much room for her head when taking her in or out of the seat. Our Little One Loves This Seat! Our child now excitingly hops into the car seat!!! Which speaks volumes to the quality and comfort of the Clek Foonf Convertible Seat! ConsThe Clek Foonf Convertible Seat does not install into our middle seat of our Toyota Prius V 2013. I would prefer that our child was placed in the middle of the car for safety. This seat is a beast. We've had the Fnoof before but after accident it was replaced. Bonus the mammoth wool has no flame retardant chemicals at all. This is an upgrade from previous version. I think the white /gray contrast looks sharp. My kid was so happy to have switched to the convertible car seat. I got this because of peace of mind. It truly is a tank! It is the only car seat on the market that i know of that has non-toxic cloth. It was also easy installation. Be sure the seat belt goes to the black portion, not between the blue lock offs. I made that mistake, but the car seat check place I went to corrected me. I wish my kid could have held out till the black friday sale, but we are happy none the less. This seat is HEAVY. The fabric is super soft and I feel good knowing that my kid isnâ€™t being exposed to all the fire retardant chemicals. I had some issue with the crotch strap placement, but Clek customer service was super helpful. Very happy with this purchase. We own two Clek seats now ... love that they are not only narrow and look great, but they are also some of the safest seats on the market. Some may find it a con but, I love how tall it sets, my toddler does also. It gives her a great view out her window. My son is so much more comfortable in this car seat in addition to it being incredibly safe! We really like these car seats. They are so narrow we can fit three across in our vehicle. You can keep your child rear facing a lot longer then many other car seats. 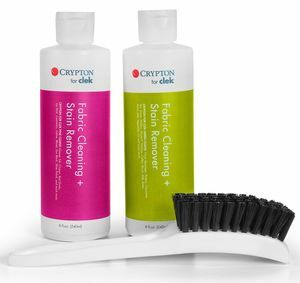 They are easy to use and clean. The only negative I have is they are a lot longer when rear facing and can make it hard to put in some places of a vehicle. They seem very well made and safe I just wish they were not so expensive. We have two foonfs for our daughters. I love how easy they are to install and how easy it is to keep them clean. They also fit well in our tiny Corolla! I have two of these seats and love them. It is very safe and looks nice. It is heavy and tall so slightly harder to put the kids in but the safety makes it all worth it. We even took this seat on an airplane. We ended up getting a thing to roll it around the airport so we didnâ€™t have to lift it and it was narrow enough that it fit through the airplane aisle while other people were struggling with their car seats. 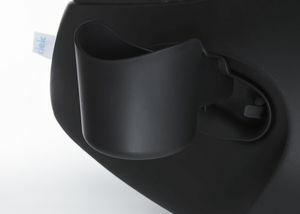 I read this somewhere else and dismissed it but it is TRUE- the crotch buckle for this carseat is ridiculously short and thus the buckle snaps into place right at my daughter thighs, almost pinching her every time. Everything else about the carseat (comfort, fabric, overall look and safety) are great but I don't understand the logic behind the short crotch buckle. We wanted the best rear-facing car seat for long term use, and this is it! We had done a ton of research, and finally bit the bullet to spring for this seat. Install was a bit more involved than our infant car seat, but it's so incredibly secure. My daughter sits happily and proudly in her "big girl" car seat â€” which is great since she'll be in it for awhile! We have purchased two of these seats, both in the merino wool option. Fabric is very soft, and I appreciate the cooling feature, in the Florida heat. This car seat is very heavy and very sturdy. You will not be able to transfer this seat from vehicle to vehicle tho - too heavy. The straps are quite easy to tighten and loosen. My LO has always hated car travel, but in this seat, he sits to high up that he can look out the windows, and he now enjoys looking for trucks and has fun. The seat is pricey but worth it. Clek customer service is also amazing and a pleasure to deal with. ConsNone. This car seat is amazing and worth every penny. Car seat safety is not where I want to save money. This is so easy to install and use compared to a previous convertible car seat we owned, and is so secure in place. So glad we tried a new seat. Kiddo loves the pattern. It does cinch down pretty tight, so you'll need to experiment with the best way to do that without pinching the next/shoulder area. We purchased the foomf because of its narrow profile and couldnâ€™t be happier. Our daughter loves it and it fits well in our SUV. Also the delivery was really quick, which we appreciated! Overall, 5 stars. This is our second car seat, very satisfied with this. When I unboxed our foonf, I was really blown away by the quality of the seat. It looks like a miniature version of an actual car seat. It is sleek and trim, and despite being very heavy, I'd never describe it as bulky. I got the mammoth wool and it is really, really nice - super soft. I love merino wool, but wasn't sure about it holding up to wear and tear over the years as a seat. After reading way too much about merino, I decided to give it a go because it's supposed to be incredibly durable and hard-wearing. I installed this seat mostly by myself and highly recommend purchasing the mat-thingy to go with it because this thing puts a lot of pressure on your car's seat. Everything about the installation was easy for me to accomplish solo except getting the seat tight enough against our car's seat. Not a big deal, I had my husband push down on it while I tightened the LATCH straps, and that did the trick. I am a big fan of the anti-rebound bar. It really keeps the seat from wiggling and makes it feel like an extension of your car. Comfort-wise I expected a little more cushion to the seat, but I think it'll be fine for a little bum. My daughter absolutely hated her infant car seat. More often than not, she was completely inconsolable on car rides. She slept for nearly two hours on her first outing in the foonf. She rarely takes naps that long at home. Lucky I had my awesome mom with me to sit in the car with her while I ran my errands!As other reviewers have stated - this is not a seat you'll want to move from car to car. It's built like a tank and is almost as heavy.Only time will tell if my daughter will be content in the foonf, but I'm sold. If she still hates riding in the car, at least I'll know she's screaming in the safest car seat on the market! This is my second Clek car seat. I bought the Fllo model about two years ago for my first daughter in Thunder (beautiful gray color) and loved it. This time around I decided to get the Foonf. My youngest will be taking over her sisters old Clek for now because my 3 yr old really wanted the pink seat. I was worried the bright pink was going to be too over whelming but it's not. It's a very pretty color and my 3 yr old loves it. I plan on ordering a second pink for the baby so when she gets a little older she won't be jealous of her sister's seat. Then the older Clek will move to dad's car. I love both the Fllo and the Foonf, you will not be disappointed with either choice. 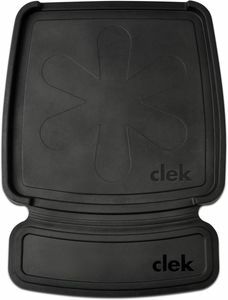 I chose Clek because it's one of the few brands that make seats with non toxic flame retardants, this was a #1 priority for me. The next consideration was ease of use. I tested out the other two Brands that were rated non toxic (Maxi Cosi & Britax) both we're very hard to tighten the harness. Clek tightens and loosens so easily. I purchased both car seats through Albee Baby and they have been a wonderful company to do business with. I will definitely be buy from them again. ConsVery heavy- I don?t move my seat back and forth from vehicles so not an issue for me. Price - all the safety features makes this well worth it to me. Fabric cover is not removable to wash- it does wipe down very well with a damp cloth though and I?ve never not been able to get a stain out. I love that the chair is nice and soft but the outer material is hard and sturdy. ConsI found it a little hard to install even though I had help . Best UsesSeems comfortable for my 16 month son. Love this car seat!! It isn't bulky which is great for aesthetics, but also my daughter just looks more comfortable in it than she did in her Britax Boulevard. Worth the cost! You may not know this but this car seat is even green guard certified (the only car seat that is)It sits higher up and my toddler can see so much more out of the car she loves it. The material is soft and comfy. The kick bar is great. It also is more narrow and so much less bulky than other convertible car seats. Its expensive but definitely worth it! If you are hesitating... don't! This is the best car seat!!! I know this car seat is very expensive... but we decided to go without in other areas (for instance, we don't have the most amazing strollers because we are deciding to prioritize spending on car seats). We love this car seat and it is actually the second time I am purchasing this make and model. I have one for each of my children in my car (which is the car they are in most often). We do have Britax models in my partner's car and all grandparent cars... but I prefer the Clek Foonf to all other car seat options because of the safety aspects of this seat, the height of this seat (the kids love to see outside). The extended rear-facing feature is also a must for me as we drive a great deal and I really want to be as safe as possible. FYI- We have both Clek seats in Shadow as the fabric does receive a great deal of wear and tear. Since it is not removable, it is less easy to keep spotless. I highly recommend a darker color unless you are in the position to purchase a new seat when it looks less cute due to wear and tear or if you won't be bothered by this issue. Also, there are two different fabric feels and I prefer the look and feel of this fabric type. It is so soft and luxurious. Best car seat out there! Safe, easy to use, and great quality when buying from Albeebaby! Best customer service! 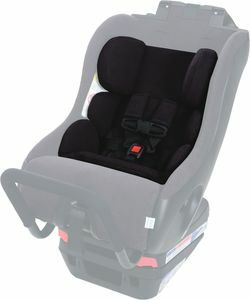 This is our 2nd foonf carseat. We purchased one for our 1st child, loved it, and so we bought one for our 2nd child. The fabric is great and does not stain. We like the soft foam cushion. My child looks comfortable in it. The design is nice and sturdy, yet simple and not bulky. Our second clek. Feel safe and secure. This is my third clek foonf. I'm obsessed with safety, and I think this is the best car seat on the market. This thing is like a tank. It has the best height and weight limits for rear and forward facing that I could find. The children sit up high and love looking out the window rather than screaming their heads off once you clip them in. The anti rebound bar is amazing and you can see right away how much more stable this car seat is compared to others on the market. ConsChallenging installation. I took it to our local fire house to have a certified car seat safety inspector take a look. They said it was the most impressive car seat they had seen. As the mother to a very large one year old, I was looking for a car seat that had increased height/weight restrictions for backwards facing, and this one was best with the added bonus of being much more slim in profile. He also loves his new car seat! He sits up high and now sees out the back window. Great look. Sturdy. Good instructions. Narrow. ProsToddler loves the unicorn print. Gives her a sense of ownership. She actually wants to get in her car seat. More narrow than any other car seat weâ€™ve ever owned. Instruction booklet was clear and easy to read. 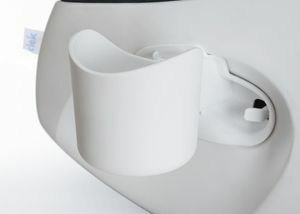 ConsCrotch buckle is not set far enough forward/long enough. Pinches her little legs if we are not careful. This carseat is a bit of a pain to install the rebound bar you have to place pins in to attach rebound bar and I lost one inside of the car seat base, thankfully my husband was able to get it out and attach the rebound bar. It is a very beautiful car seat it is heavy but very sturdy. It fits better ten my Chicco infant carseat with base I had in my car. I have 3 kids and drive a Cadillac Deville and I fit this with a Clek Olli on one side and my oldest son has plenty of room on the other side. I feel like the middle crotch cover is a bit big on the smallest setting but all in all I love the car seat and so does my baby girl. Height Measurement in Rear-Facing: 25.75-28.75 in.